The Razer Mamba has gone through quite a few iterations in its lifetime and this newest model might be (on the surface) the simplest one they’ve put out since releasing the Mamba line way back in 2009. No more tilting scroll wheel, extra buttons, side LED strip, and so on. For this release Razer has decided to outfit their premium wireless product with a better battery (offering up to 50 hours of gaming time) that’s rechargeable via a simple USB cable. The inclusion of on-board memory (for up to four profiles) further leads us to think that they’ve been steering this line towards the more competitive gamers, but have these changes been the right decision or not? You’ll find out all of that (and more) in our review below. The Mamba Wireless is a very unassuming mouse. Its most obvious feature is the fact that it’s wireless, but aside from that it’s your ‘standard fare’ when it comes to gaming mice. 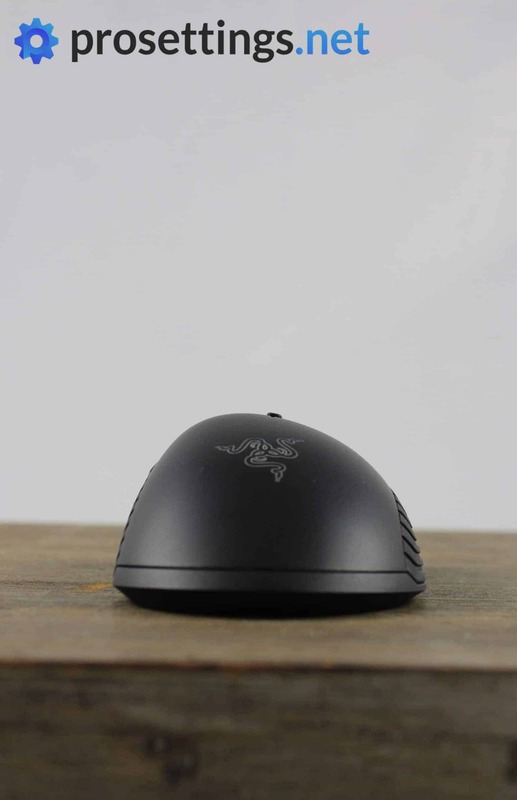 The entire mouse is finished with a black coating, with the inner ring of the scroll wheel lighting up, as well as the Razer logo towards the back of the mouse. Turn those RGB lights off and you’ve got yourself a mouse that wouldn’t get a second look if you’d take it to a coffee shop or an office building. I say this because if you compare it to previous versions of the Mamba (which had RGB strips along the side, or an actual mouse stand to charge the mouse) you’ll immediately notice that it’s all been toned down a bit. This current iteration of the Mamba actually reminds me a lot of the Deathadder, both when it comes to looks as well as the overall shape. The shape’s a tiny bit different, but more on that later. 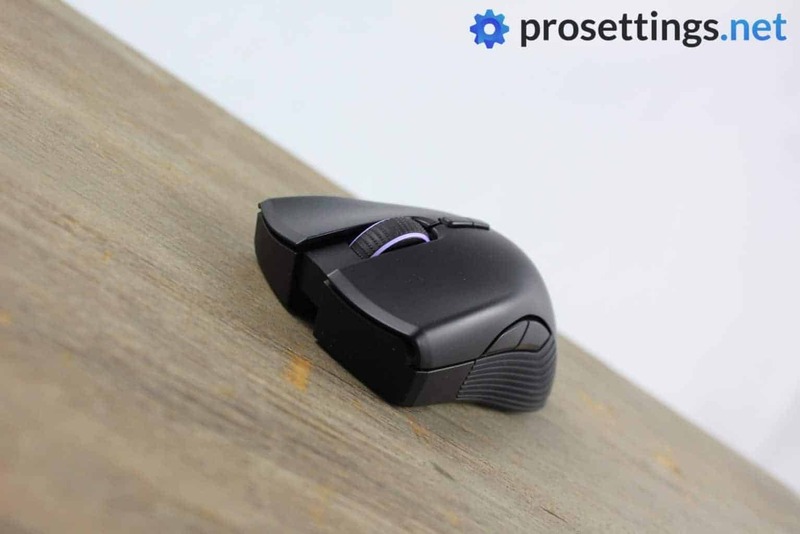 The Mamba Wireless definitely isn’t a small mouse, and when you combine a large(r) mouse with a rechargeable battery you usually end up with a pretty weighty product. The mouse weighed precisely 104 grams on my scale, which is actually fairly good for a wireless mouse of this size. It’s a larger mouse, which makes the fact that it’s a bit heavier much more palatable, and the fact that it’s also wireless (meaning no cable drag and more freedom) results in a mouse that feels lighter to use than you’d think just from reading the specs. 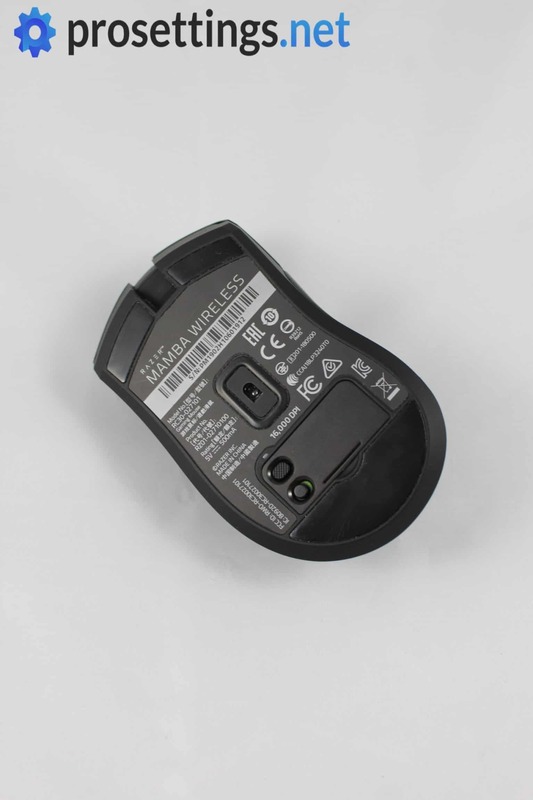 The mouse itself has two DPI buttons located on top of the shell, two side buttons, and a textured scroll wheel on the topside. On the bottom we’ll find an on/off button, as well as a button to change between stored profiles. Which profile you’re on is indicated by a small LED. Whereas the first Mamba model way back in 2009 was packaged as if it was a precious artifact on a pedestal in a museum the current version keeps things a bit more on the down low. Inside the box you’ll find the mouse, a charging cable, and an extension plug which’ll allow you to place the USB receiver a little closer to your mouse, in case your PC is too far away from your playing surface. That aforementioned USB receiver is stored in the mouse itself, by the way, so don’t panic if you don’t immediately find it in the packaging. The USB receiver is pretty small and thin, so it’s certainly nice that they included a spot to store it in the mouse itself, which should drastically reduce the odds of ever losing the thing. 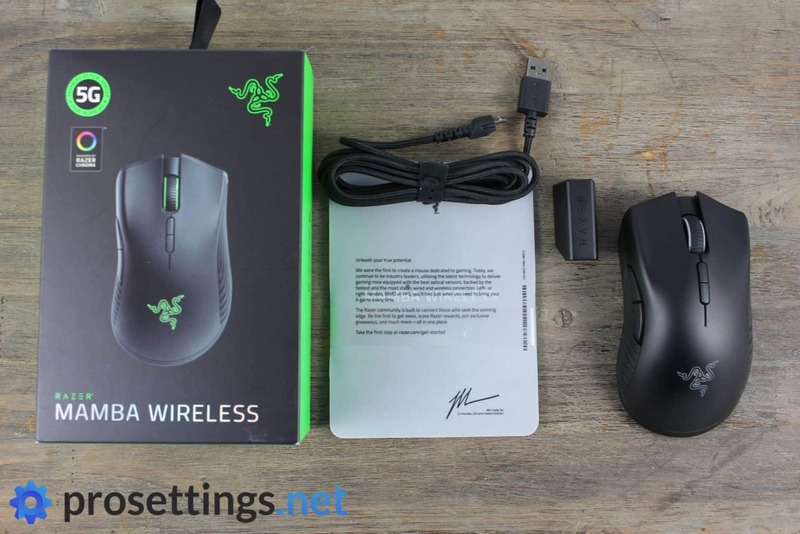 The Mamba Wireless, to me, looks very much like Razer’s Deathadder. It’s actually a tiny bit smaller, but it pretty much fits like the Deathadder Elite, with the notable distinction that the DA Elite feels a bit curvier. We’re here for the Mamba Wireless though, so judging the mouse on its own merits I can definitely say that, for me, it’s a very comfortable ergonomic shape. My hands are 18.5×10.2 cm and I found it comfortable with all grip types, but I don’t think I could say the same if my hands were much smaller. It’s a larger mouse, and combine that with the weight and I find it hard to recommend this one to people with smaller hands. The design itself is very safe though, so if your hands are at least my size there’ll be plenty to like if you’re into ergonomic mice. The coating is a matte black material, though most of the work will be done by the rubber side grips on the side of the mouse. I am always a fan of rubber grips, and these are implemented nicely and seem plenty durable so as far as I’m concerned this is a plus. These particular grips also have rather pronounced grooves in them which do aid with picking up the mouse. Overall I am a fan of the way the people at Razer finish their mice, and it’s the same here. I tend to get sweaty hands pretty rapidly when I’m playing competitive titles for more than a few games and if a mouse doesn’t handle that properly it’s immediately going to be a big turnoff for me. The Mamba Wireless, as all Razer mice that I’ve tested so far, handles sweat nicely though, so that’s another plus in my book. The two side buttons are conveniently located and are easy enough to reach and distinguish, and the two (programmable) DPI buttons on top of the mouse never got in my way. 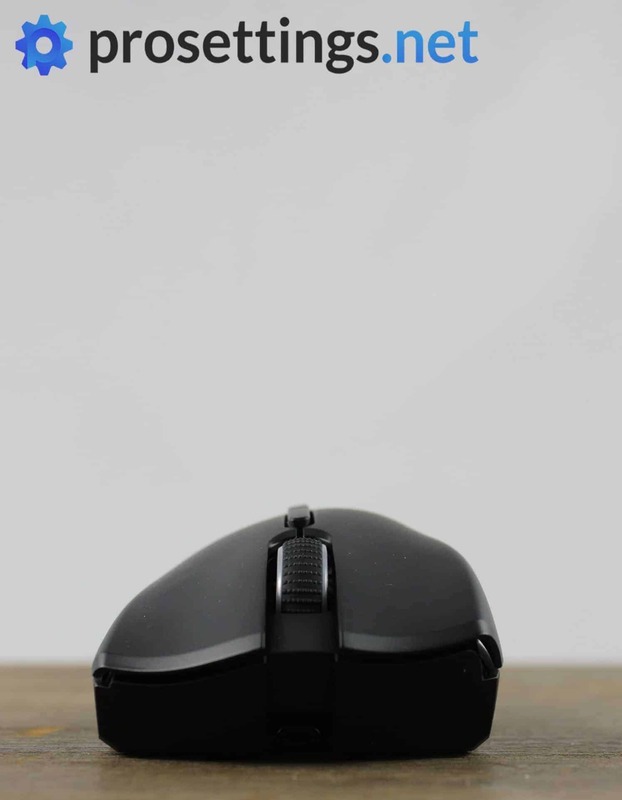 On the bottom of the mouse you’ll see three large sized mouse feet which provide a solid and consistent glide almost straight out of the box, meaning that there’s very little break-in time. Razer mice have switches that are co-developed with Omron, which usually results in pretty great feeling mouse buttons, but I have to say that I’m not completely satisfied with the clicks on the Mamba Wireless. The switches themselves are fine; once you actuate a button it offers a pleasant and snappy clicking sensation but the buttons are a different story, on my copy at least. The main buttons feel pretty loose and ‘bouncy’, if that last word makes any sense to describe a mouse button. When you’re rapidly clicking away this can cause issues where each click doesn’t feel exactly the same as before. This hasn’t really led to any major missed shots or anything, since there’s not a lot of travel distance on either button, but it’s not exactly a great feeling and I can imagine MOBA players (or people who play games where you need to really spam your clicks in general) being more than a bit annoyed by this. For shooters the buttons are passable, and it’s not like I can move the buttons half a centimeter in either direction, but this is certainly something that they can improve on in future iterations if this isn’t an isolated manufacturing defect (which can obviously always happen). 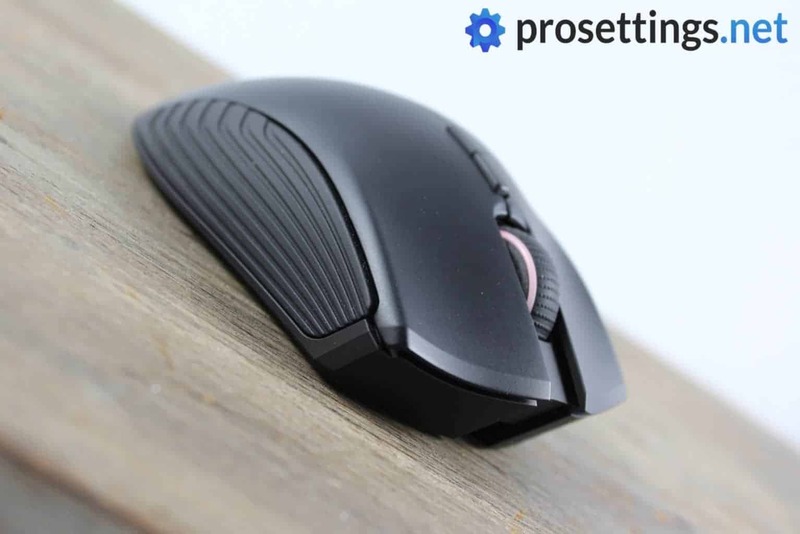 The textured scroll wheel offers a nice compromise between a smooth scrolling experience and a more defined one, and it’s easy enough to press as well. I quite like this wheel as the steps are still plenty defined so you can use this wheel for weapon switching or what not (though you definitely need to pay attention if you’re going to be switching between a whole lineup of weapons; the wheel isn’t that rigid) but it’s not overly stiff, which means that people who bind jump or something like that to their scroll will not tire out when using the wheel for those things. The side buttons are great as well. There’s almost no travel time and they give you a clear tactile indication when they’ve been actuated. The Mamba Wireless is pretty nicely built. You do hear something moving around when you shake the mouse close to your ears, but it doesn’t make a sound when it’s in regular use, nor does it creak when you apply pressure on the sides or anything. The mouse comes with an included 2.1 meter cable which can seamlessly connect to the mouse, making it feel like a regular wired mouse. There’s no wobbling or flimsy feeling connection points, and the cable itself is plenty flexible as well so props to Razer for the way that they’ve designed this. You should almost never use this cable when playing though. 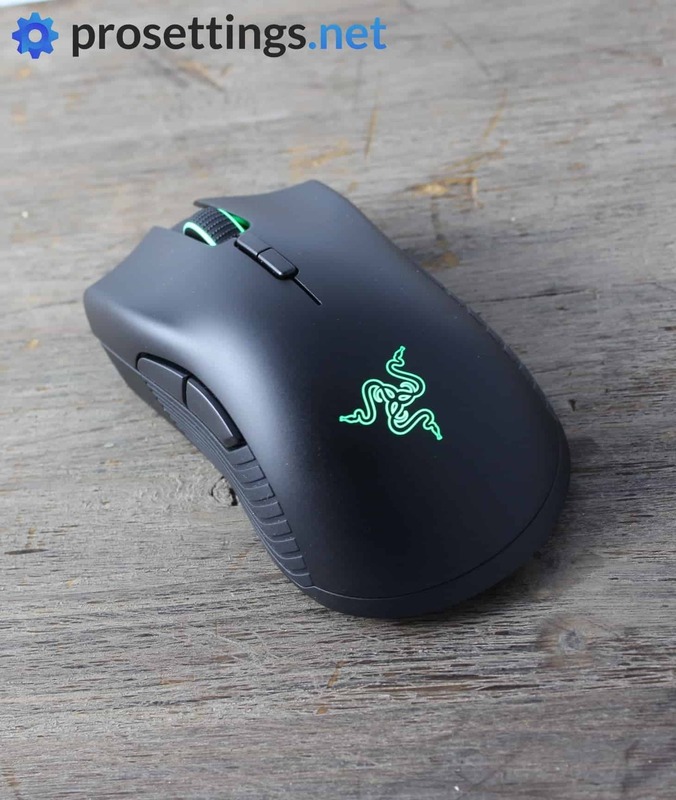 The Mamba Wireless has a battery life of about 50 hours (with the RGB turned off) so you should never find yourself holding a mouse with no juice, unless you’re doing absolutely insane gaming marathons on the regular. Speaking of wireless: I’ve been using this mouse in the wireless mode for the entirety of my testing period and it hasn’t dropped connection or lagged behind once. That’s amazing, and it’s nice to see that companies are now developing wireless technologies which can flawlessly keep up with wired peripherals. I don’t mind using wired mice (if they’ve got a good cable) but going wireless is a feeling that even the best cable can’t replicate, so the more options there are on this front, the better. 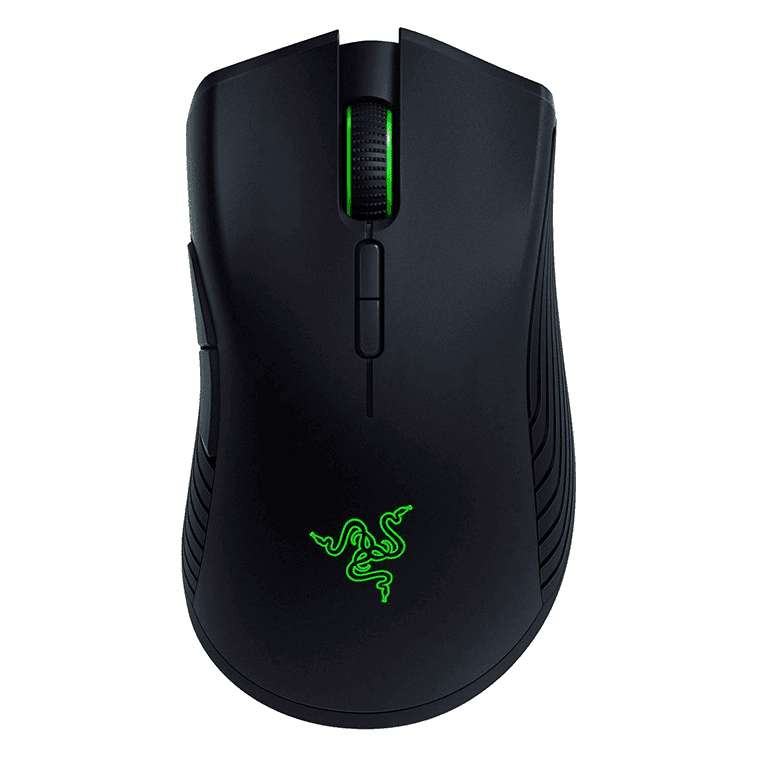 This version of the Razer Mamba contains Razer’s 5G sensor, which is basically their version of the 3389 sensor. It’s a completely flawless sensor, so you won’t be hampered by smoothing, acceleration, jittering, or any of that. For full disclosure I do have to say that the Mamba Wireless spun out on me once, but then I cleaned the sensor lens and couldn’t replicate it again, even when I was actually doing the usual tilt-slam test to try and get it to spin out, so it’s safe to say that this was due to a spec of dust on the lens or my mousepad. Aside from that minor mishap (which was caused by myself, and not the mouse) it tracks and performs exactly like you’d expect a flawless sensor to perform. Every little move I made was translated to the game to perfection. I would recommend everyone to change the threshold for the mouse entering ‘wireless low power mode’ to 5% in Razer’s Synapse software though. This mode attempts to save power (obviously) but I found that it messes with the performance of the sensor as well, which is obviously not something that you want in a gaming mouse. It’s a nice option to use for when you’re just browsing so I’m not saying that the inclusion of said option is a bad thing, but by default it’s set a bit too high in my opinion. The Mamba Wireless is completely configurable in Razer Synapse, but you can also store up to four profiles on the mouse itself. Combining that functionality with the fact that you can store the USB receiver in the mouse itself makes it super portable, which is always appreciated. The wireless functionality on the mouse works great, and as I say on every review about a wireless mouse; it’s something that you need to experience for yourself. Going wireless is incredibly liberating, so much so that some people can’t even go back to wired mice once they’ve tried wireless ones. I’m not one of those people, but my tolerance for sub-par cables has noticeably decreased since reviewing a bunch of wireless mice. Razer implements their wireless technology perfectly in this iteration of the Mamba, and it’s nice to see them enter the stage as one of those companies with a flawless wireless performance. Provided your hands are large enough (I’d say 17.5 cm+, but I know these things are incredibly subjective, so take this with a grain of salt) this mouse will accommodate a very wide variety of grip styles. It’s a very comfortable shape for all grip styles that I’ve tested, with a shape that’s just slightly safer than Razer’s Deathadder in my humble opinion. The mouse stays comfortable for extended periods of gaming, though (fingertip) grippers who like to have as little points of contact with a mouse as humanly possible should possibly look towards a lighter mouse, since the weight of this one will make longer gaming marathons quite a chore if you use that kind of grip. 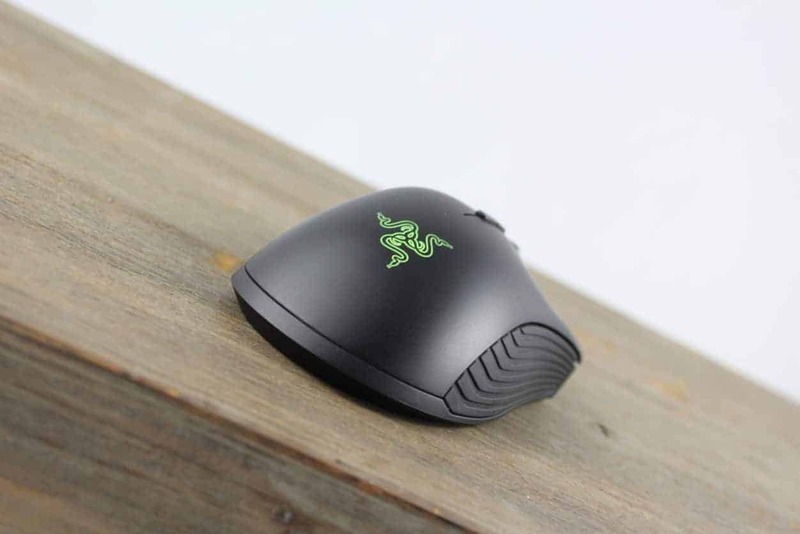 All in all though the Mamba Wireless offers a shape that’s very safe for an ergonomic mouse, so I suspect that the vast majority of gamers will have no issues with this mouse at all. The Mamba Wireless offers a flawless wireless experience, along with a ditto sensor and a comfortable ergonomic shape. It’s held back somewhat by the weight, but the major downside here is the fact that the main mouse buttons feel very loose and overall just sub-par, especially for a company such as Razer. Aside from that there’s plenty to love about this release though. 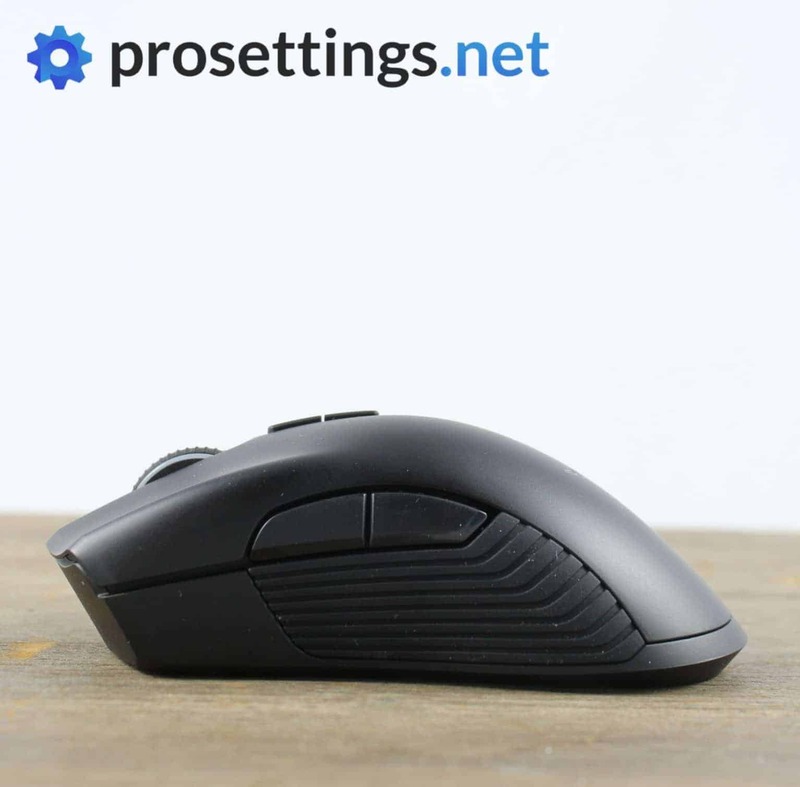 If you want to try out a safe-shaped ergonomic mouse that’s wireless, or you’re a longtime Deathadder fan who’s been aching for a wireless version of that mouse then this will be your best bet. With this release Razer has shown that they’re a worthy competitor in the wireless mouse market, and I’m excited to see what they’re going to offer up in the future. Really sick mouse, great review as always. I just bought the Elite since I’m not a fan of having to ever “recharge”, even if you get the benefits of wireless with it. That’s fair, lots of people don’t really like having to plug in yet another device to charge up. Thanks for the kind words!